You are here: Home / Sir Jason Winters Blog / Have you Tried Sir Jason Winters Pre-brewed Tea? Sir Jason Winters was used to a challenge or two and his terminal cancer diagnosis was no different. Determined to find an all natural alternative that would help prolong his life, he began traveling the world. Finally, after extensive research, he found the three ingredients he would need to make what would become an incredible healing solution. 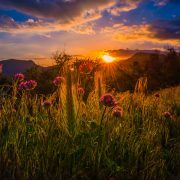 Red clover: This plant grows wild in the meadows of Europe and Asia. It is high in isoflavones, antioxidants that produce an estrogen-like effect in the body and can help fight cancer, high cholesterol, whooping cough, asthma and the symptoms of menopause. Indian Sage: Sage is a herb found in the deserts of the Southwest United States. It is known for it’s anti-inflammatory and antibacterial It’s also used to detoxify the body. Herbalene: Jason’s trademarked blend of special Oriental spices, handpicked for their immune system boosting. Fast forward thirty years later and life is very different from it used to be – many adults are living hectic lives that leave little time to spare. Those who love home brewed tea know that it can be a long and inconvenient process. In addition to that, the strength of the tea often varies from one cup to the other, making it hard to get a consistent blend. At Sir Jason Winters, we understand your pain and thus have created the Sir Jason Winters Pre-brewed Tea collection for those who want all the benefits of freshly brewed tea but without the long wait time or the complicated brewing process. 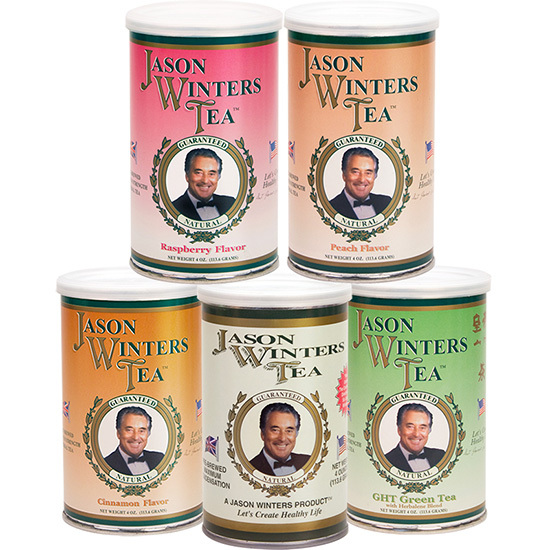 The Sir Jason Winters Pre-brewed Tea was developed by extracting the three ingredients and making a concentrate. This concentrate is then sprayed on a base of natural oolong tea. Because oolong tea is only partially oxidized, it has the combined qualities of both green and black tea. As such, it’s considered to be one of the healthiest beverages on the planet. It’s known for its ability to reduce the severity of chronic health conditions like inflammatory disorders, heart disease, and high cholesterol. It also provides the body with essential antioxidants and promotes good skin and dental health. So, as you can see, the final product (with an oolong base) is a delicious and nutritious all-natural blend with no artificial colors, flavors, or preservatives. Original: Sir Jason Winter’s own blend, Red Clover, Indian Sage Leaf, Oolong Tea Leaf, Herbalene® Blend (special spice), and Natural Flavors. GHT Green Herbal: Red Clover, Indian Sage Leaf, Green Tea Leaf, Herbalene® Blend (special spice). It’s relatively easy to make this tea – all you have to do is add a half teaspoon of the blend of your choice to an 8-ounce cup of boiling water. Let it steep for approximately 90 seconds and enjoy. If you would like to make a stronger tea, stir as needed. If you’re worried about your health or want to give your immune system a boost, you can’t go wrong with a canister of Sir Jason Winters’ pre-brewed tea. Don’t wait, place your order today to experience this delicious and nutritious blend for yourself! Click below to order your favorite Pre-Brewed Tea today!